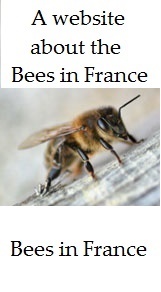 In France there are seven species of native social or colony forming wasp, one species of native hornet and one species of introduced hornet. 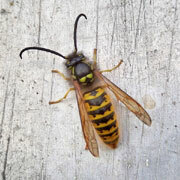 The three Vespula species, the three Dolichovespula species and the two Vespa, (Hornet), species share the same general biological features regarding their life cycle which starts in the spring with fertile Queens that have over wintered in hibernation finding a suitable location to create a nest. At this time early in the year in the period following hibernation the only source of energy for them is nectar from flowers where they play an important role as pollinators. Having found a suitable location the Queen, (Foundresse), makes a small nest starting with a central single hexagonal cell which is suspended on a short central stalk around which are usually six more cells, the Queen laying an egg and providing for it in each one as it is constructed. Once these eggs have hatched out, gone through the development stages and pupated into adult wasps they take over the nest construction and provision of nutrition for the larvae and leave the queen solely to lay eggs and control the nest which is now her primary function. At this stage and until late summer all the worker wasps will be sterile females and there will be no males. As the colony grows the workers feed the grubs and the grubs exude a sweet liquid which the adult wasps consume to satisfy their energy requirements. It is only later in the season when the quantity of brood being reared reduces that we find the adult wasps searching for large sources of sugars that are naturally available from fruits. The nest itself is constructed using small pieces of wood that they shave either from the bark of living trees or from dead wood including fence posts, garden furniture and so on that is chewed into a paste and moulded into place. With the growth of the nest the size of the cells progressively increases which leads to an increase in the size of the worker wasps. The final cells to be constructed called Gyne cells are extra large for queen production that takes place late in the season, (end August – September), when males will also be produced using worker cells to mate with them. These newly mated Queens will disperse and eventually find somewhere to hibernate where they will be protected from freezing. All other wasps, workers and males will die before winter and the nest will be abandoned and not reused. All wasp larvae, (Workers, Males and Queens), are fed with mashed up insects, the larvae of other species and even carrion that provides them with the protein they require to grow. This is why we find them taking small pieces of meat or fish when we eat outside, either from our plates or from waste bins. The larvae are fed and checked by nursery workers perhaps as often as 50 to 80 times each hour and go through 5 instars or stages of development shedding their skin at the end of each instar. When fully fed, the larva spins a cocoon within its cell using silk secreted by its salivary glands. Inside this cocoon the larva develops into an adult. During this time (7–9 days) the pupa is not tended by adult workers and when fully developed they chew away the cap of the cell to emerge and start work. Essentially as with Honey bees there is no genetic difference between an egg that will produce a worker, (sterile or sexually inactive female), and a Queen that is fertile, can mate and produce fertile eggs. In the case of wasps the mechanism for producing new potential Queens, (Gyne), is not fully understood and may be the result of one or more of a number of factors that include Queen pheromone releases, larger cells, better nutrition, (increased quantity and quality of larval food supply), and vibrational signals, (cell rim tapping). I have provided some links regarding this subject. (Gyne refers to potential or actual queens, whereas Queen refers to a reigning gyne with a colony). Simplified hornet and social wasp life cycle. March - April: Mated queens leave over wintering sites (under bark, in log piles, even in folds in your curtains) to gather nectar and look for nesting sites. May - August: The nest is established. Worker wasps take over the duties of enlarging the nest and feeding the larvae, leaving the queen to continue laying eggs. August - October: Towards the end of the season the worker wasps build larger cells in which the next generation of several hundred queens and males is reared. When they reach adulthood, these individuals leave the nest and take part in mating flights. November - March: With the onset of winter mated queens hibernate in safe sites. All other hornets or wasps die and the nest is abandoned. 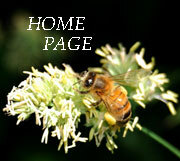 Regrettably our native wasps and hornets are persecuted and are in overall decline. This decline is being brought about by a number of factors many of which are the same causes for the decline in other species of insect notably bumble bees and a large number of solitary bee species. Pesticide use, (insecticides, herbicides, fungicides etc), habitat loss and destruction of nest sites and the widespread use of domestic insecticide sprays. It's worth reminding ourselves that our native Wasps and Hornets serve a multitude of important functions in a balanced eco system and we should all try to avoid destroying them unless it is absolutely necessary.